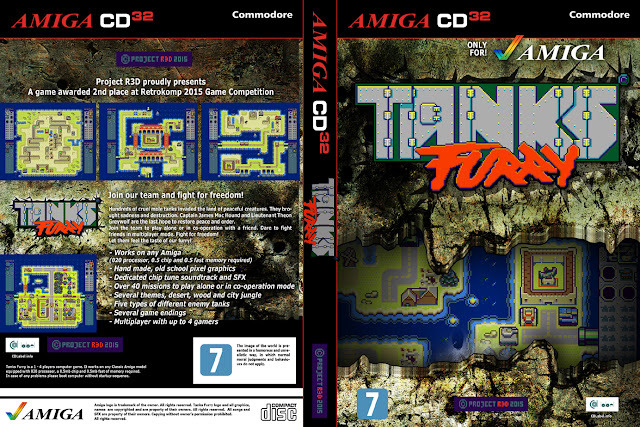 Indie Retro News: Tanks Furry - Tank based shooter for the Amiga gets an update and Amiga CD32 release! Tanks Furry - Tank based shooter for the Amiga gets an update and Amiga CD32 release! 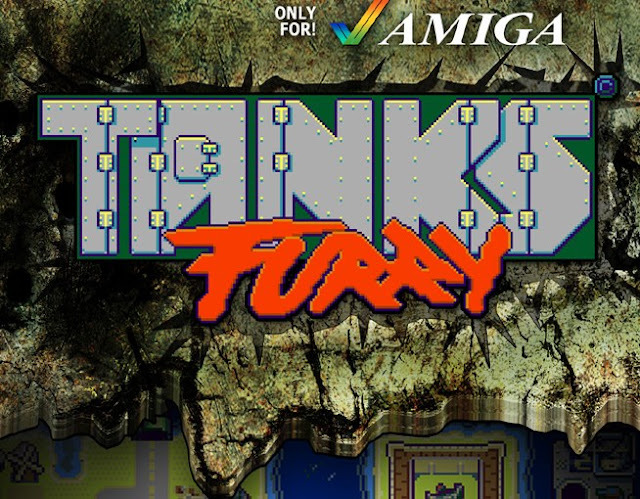 During last week and into this weekend, Amiga gamers across the globe were shouting to the hill tops that they had finally received the most eagerly awaited of commercial Amiga games ' Tanks Furry ', developed by PROJECT R3D. It was a game that was originally teased at the retrokomp 2015 and came second place much to the delight of the developers. Well fast forward to now and this rather delightful game featuring hand made school pixel graphics, a dedicated chip tune and sfx, over 40 missions to play, several themed zones such as woodlands and deserts, five different tanks and even multiplayer. Doesn't just have a lovely commercial package, but you can play the updated free 1.2 version with a trainer thanks to Flashtro, and the Amiga CD32 version thanks to Earok and team. 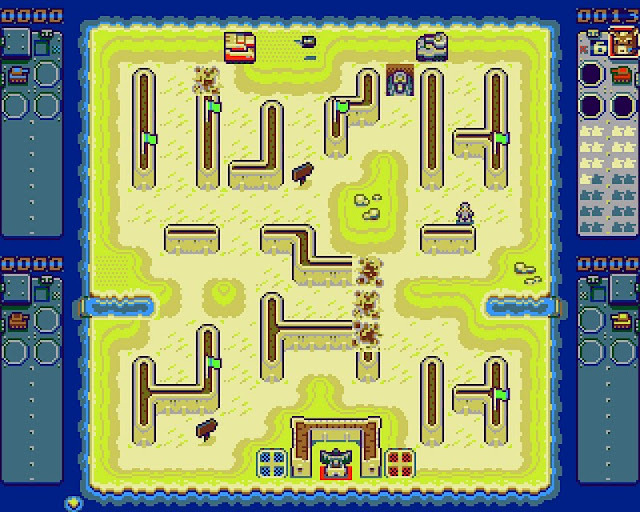 In this game you play as one of two players that must defend the village at all costs, as from out of nowhere some rather nasty invaders with big tanks have come into your lands and nearly destroyed everything. Not only that but they want to turn the villagers into slaves, but with two great tank furry commanders in the way willing to put their lives on the line in defence, this wont be easy for those pesky invaders. As soon as the intro story ends and the main game begins, you can just tell by the detail in front of you, that this is not your usual Amiga homebrew, It smacks you in the face with not just graphical quality and sound but gameplay that is highly addictive. It's the sort of game that you would think was a Steam Greenlight success on a more modern PC than an Amiga game, especially as it runs so well too. It is also an action shooter, so no we are not having to deal with tedious platformers, as in each mission through multiple landscape designs, you control one of two tanks in a top down battle, that must move your tank around shooting other tanks that spawn to complete the level. 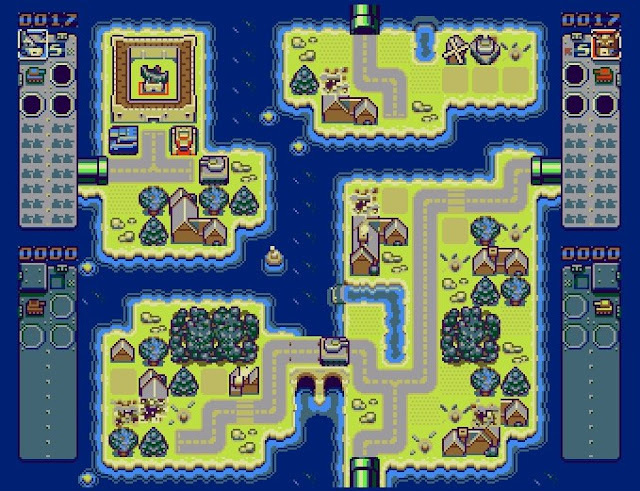 Thankfully to keep you even further occupied, power ups appear, people need to rescued, and if you really want, you can even destroy the environment. Just don't do what I did, destroy your very own base HQ! In all, with great sound effects, a more modern Indie like graphical design, great addictive gameplay and fun for all ages, this is a recommend Amiga game that you should have in your collection. Oh and if you can't wait for the commercial package, you can download the free Flashtro version which includes lots of lovely cheats such as level skip, or the fantastic Amiga CD32 version by Earok and team!